Google+ may be boasting big numbers when it comes to its members, but it seems it is not interesting enough as a hangout, with just minutes spent on the site each month. 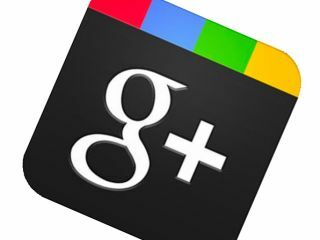 According to the Wall Street Journal, Google+ users are spending just 3.3 minutes on the site a month. Compare this to the hours spent on Facebook (on average a whopping 7.5) and Google looks like it has a problem with its retention rates. Now, we personally think spending almost one working day a month on Facebook is rather excessive, but if you take into consideration the amount of things you can do on the site, the number makes sense. Whether it is gaming, reading articles, listening to Spotify, Facebook has cleverly created a web within the web and it is reaping the benefit of this with user loyalty. Considering the longer people spend on the site, the much happier advertisers are the time spent on a site is essential to its upkeep. Currently this is not a problem for Google as it has no advertising on Google+ but when it does eventually lure in brands for ad spend, its 3.3 minutes will not suffice. What's worse is that this is a number in decline. Back in December, users spent 4.8 minutes on the site – but this was down from November when users were clocking around 5.1 minutes. Google doesn't seem to be worried about the dwindling dwell time. Speaking about the numbers, Bradley Horowitz, a Google vice president of product management, told The Wall Street Journal that "we're growing by every metric we care about". He also pointed out that its own internal data tells a different story. Whatever the case, Google must be looking at the likes of Facebook and Twitter with envy - they can't stop users coming to their sites. Especially Twitter, whose founder Biz Stone said recently that too much tweeting was "unhealthy". If that's the case, then Google+ seems to be the healthiest social-networking option around.